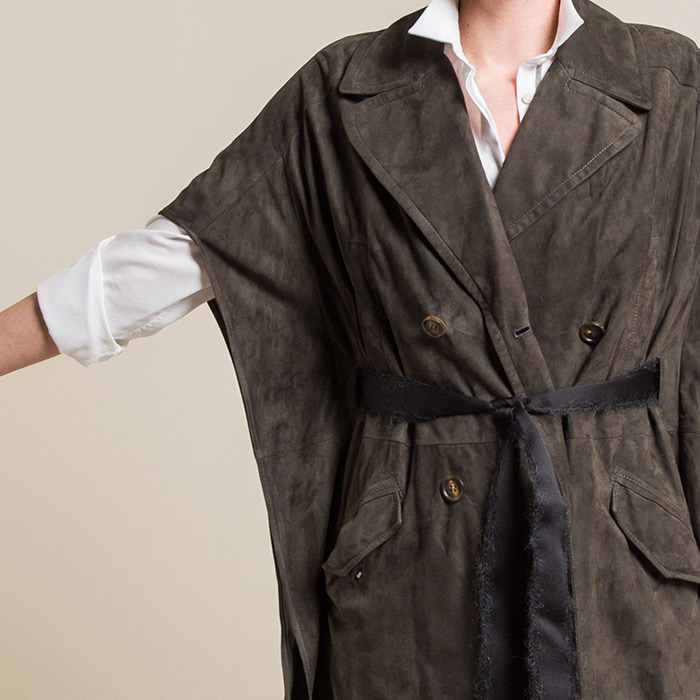 The latest shipment from Brunello Cucinelli has the beautiful quality that comes thanks to its luxurious materials and humanitarian business model of valuing craftsmanship. The Brunello Cucinelli Fall Winter 2017 collection was based on accentuating its core values of inclusivity and social responsibilities. 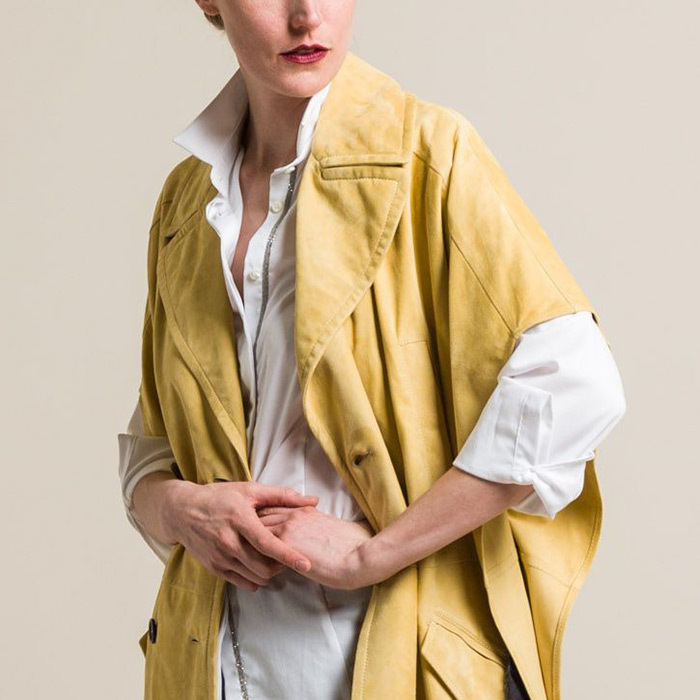 The double breasted suede belted overcoat comes in pastel yellow or coal grey. Its shape is oversized that becomes appealing for a variety of body types, while still being luxuriously casual. The classic and stylish aesthetic and ethical principles behind Brunello Cucinelli reinforces the meaning of luxury clothing: sophisticated, graceful, and effortless.